The Off Road Skills team has developed a specific training course to compliment our existing Level Two program – Level Two: Foundation. 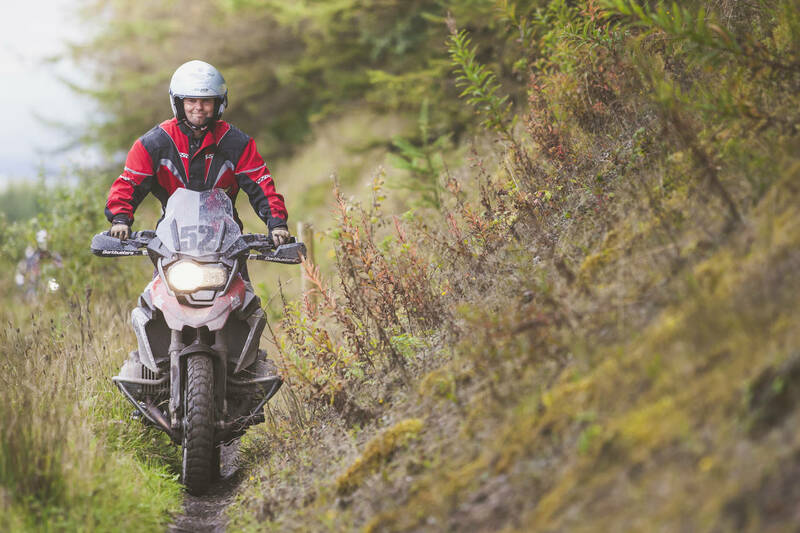 It is the perfect course for riders who have completed Level One and wish to progress to the skills taught on Level Two, but perhaps don’t have the opportunity to practice off-road riding between visits to us here in Wales. 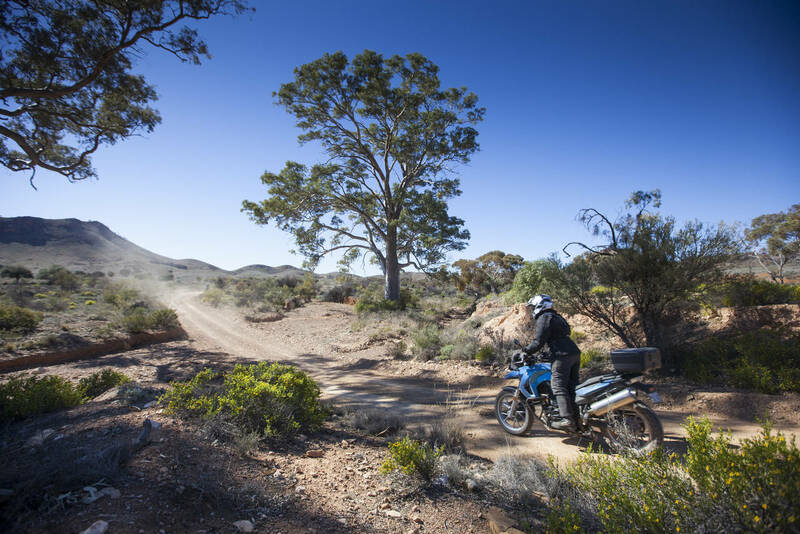 We start with a relaxed trail ride around the stunning 4,000-acres of Walters Arena, shaking out the cobwebs and getting your head dialled back in to riding the GS motorcycles off-road. Using your Level One knowledge and experience, we will work through the Level Two: Foundation lessons with emphasis on the key skills of clutch and throttle control, body position, and vision. We’ll introduce new exercises that aren’t in any other course syllabus, tailored by our chief instructors to help you bridge the gap to the more advanced techniques of Level Two. 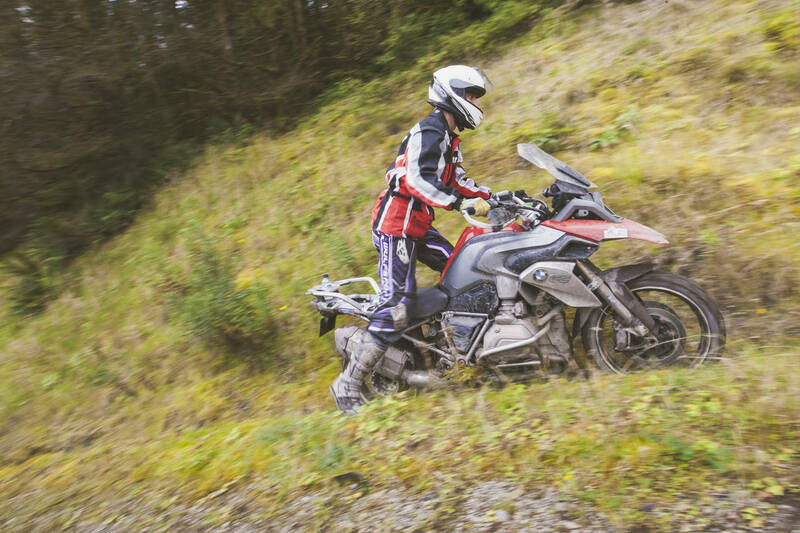 We will also introduce advanced downhill braking techniques and shallow ruts in preparation for undertaking these elements in Level Two on more challenging terrain. By the end of the course, you’ll have the tools to deal with anything you find on the open trail safely, in control and, most importantly, with a big smile on your face. It’s the perfect way to step up to Level Two, so you can get the most out of the additional challenges. What does Level Two: Foundation cover? 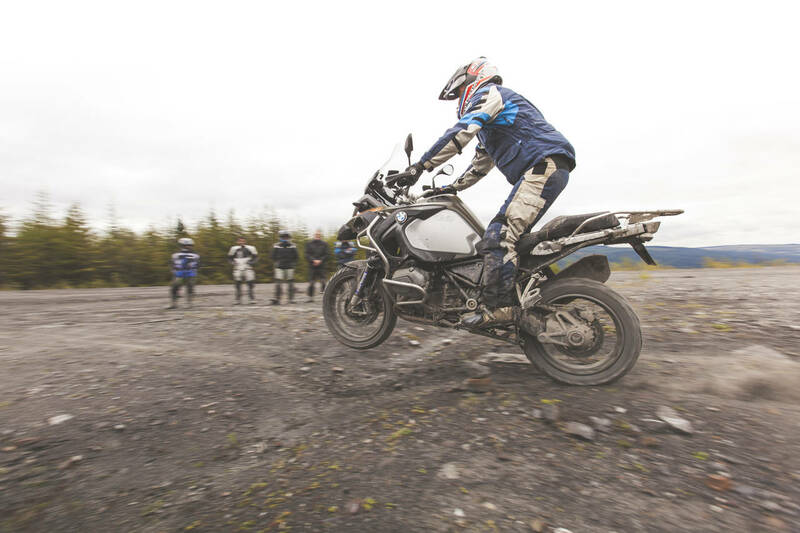 The two-day Level One Off Road Skills courses each cost £519. 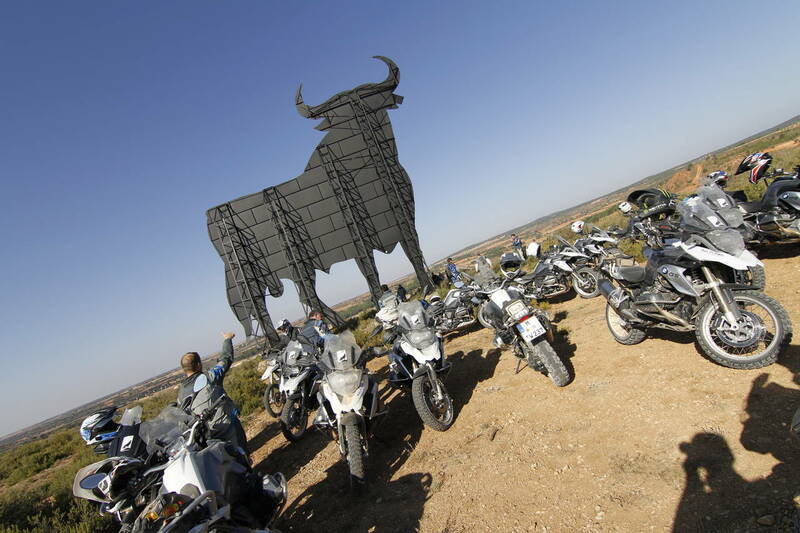 The price includes two days of group instruction, motorcycle hire, third party insurance, fuel, two lunches and one evening meal, refreshments and a certificate of completion. Please note: it does not include personal accident insurance, your accommodation and evening drinks, or any additional meals or drinks for your guests. I keep coming back for more. It doesn’t matter if you keep repeating the different Levels or Adventures as there is always, always more to learn and to put in to practice. I’m repeating Level 2 Foundation in September even though I’ve previously done level 2. It’s great to consolidate your skills which is exactly what ORS is about. hi, I've had an issue for years riding on slippy stuff and wanted to put those demons to bed. I took the level 1 foundation course on 10/11 of August which challenged me in a healthy way by Simon and Chris (instructors). I've never done a course that has provided me with so much pain, pleasure and confidence. I can honestly say that these guys provide top notch training and great value. I have learnt so much. THANK YOU. Paul. Try the new level two foundation Dan Tynan I found it a great experience after level one last year.